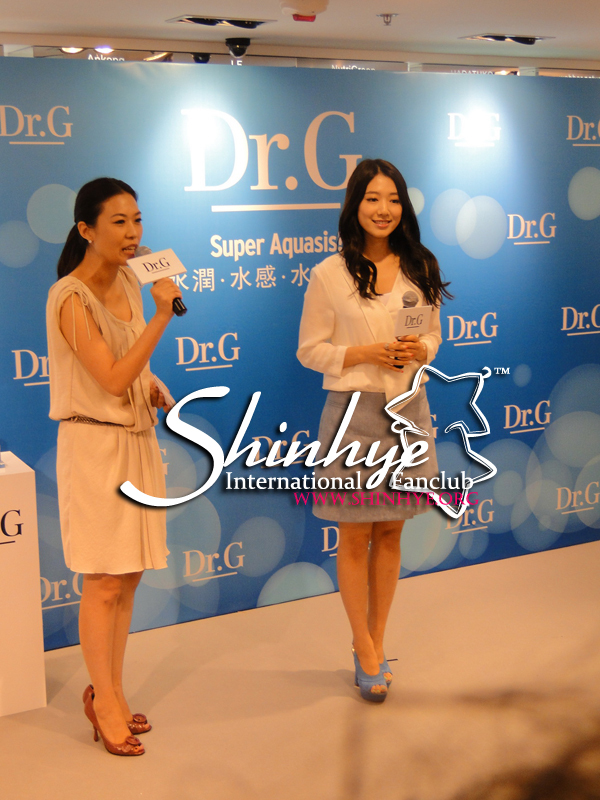 On April 19th, The press conference was held at the SASA flagship store in the touristy Tsim Sha Tsui, Hong Kong. Before the event started, a filming crew from Korea, who was responsible for filming a documentary of Shinhye, interviewed fans at the entrance of SASA and asked them why they like Shinhye. 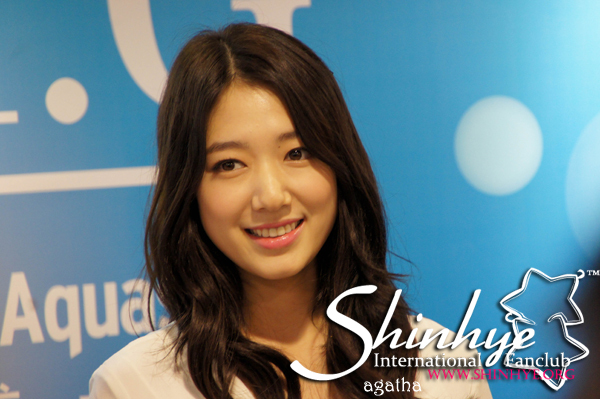 Everyone complimented on Shinhye’s acting skills, beauty and personality. 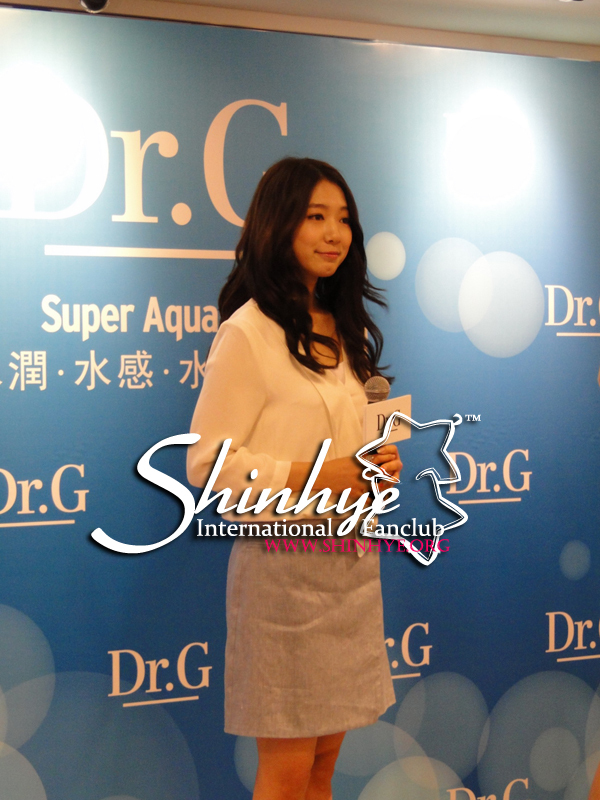 At 2:30, the MC of the press conference came out and started introducing the brand Dr. G. After a while, Shinhye came out!! She was dressed in a white blouse and sky-blue skirt and blue heels. She greeted everyone smiled radiantly at cameras. Then she noticed the fans and waved with a cute smile. She was stunning! 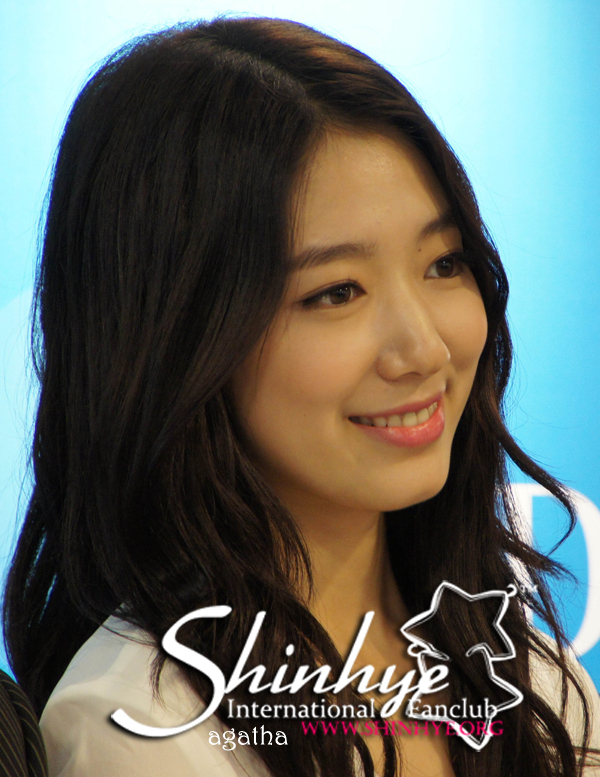 Shinhye introduced herself and said that she was very happy to be in Hong Kong since it was her first visit here. 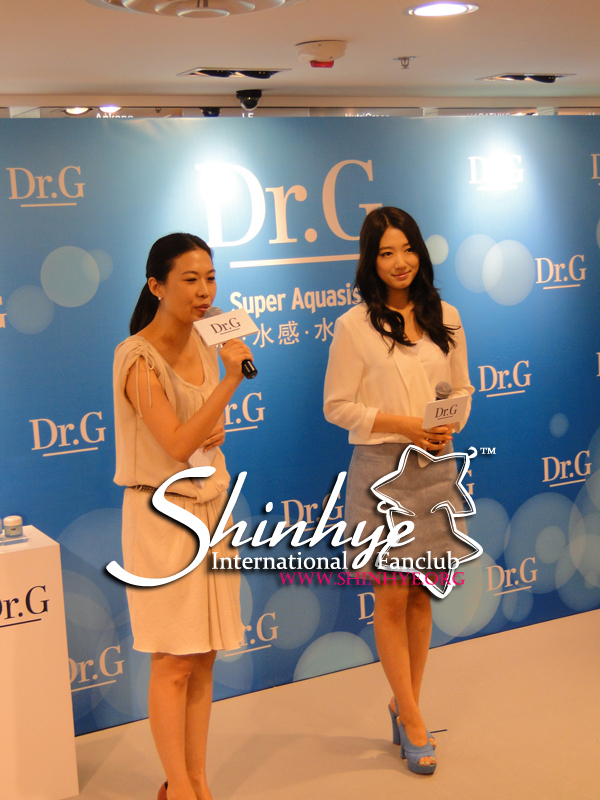 Then, the president of Dr.G and a team of Dr.G executives joined Shinhye on stage for a product-launch ceremony. They poured some ‘Aquasis water’ into the prototype product and took a group photo together. When asked by the MC what does she think of Hong Kong, Shinhye said she thinks Hong Kong is beautiful but it was a pity that it rained nonstop during her visit. She went to the Peak in hopes of seeing the famous night scenery, but failed to as it was foggy. During her stay, she went to eat dim sum and she especially like the buns. 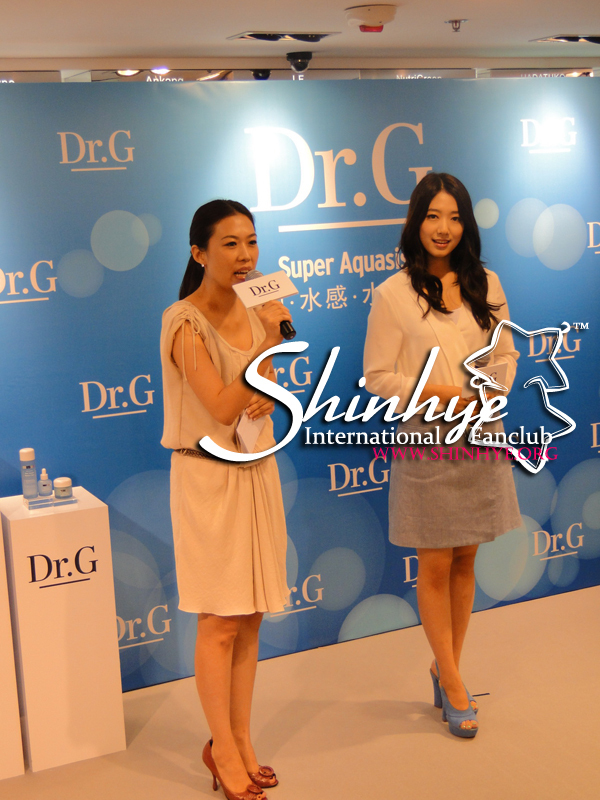 The MC complimented Shinhye’s lovely skin and told her to give some beauty tips. Shinhye said she drinks at least 8 cups of water per day and exercises regularly. Her favorite sport is riding bicycle. At night when she sleeps, she always has a glass of water by her bedside to increase the moisture in the air so as to prevent dry skin. At some point of the event, the MC and Shinhye talked about drama ‘You’re Beautiful’ and SASA invited three models dressed up like Minam on stage. 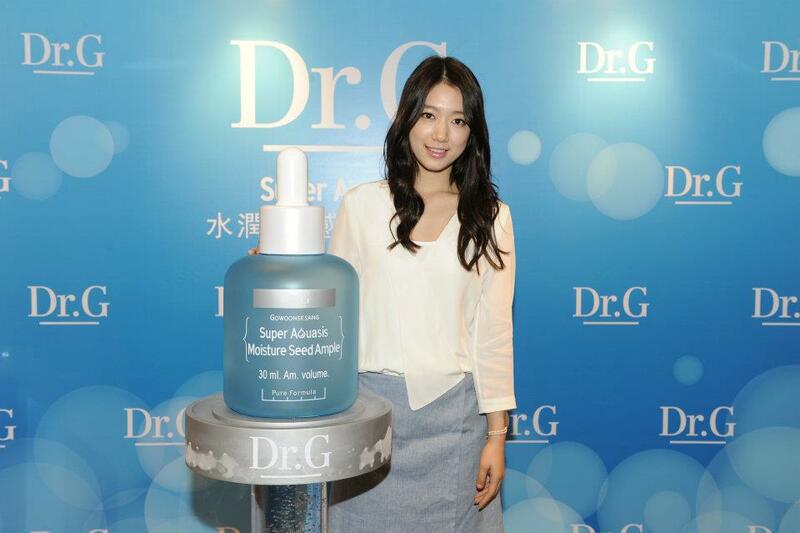 Shinhye did a live demo of some products on the models. After that, it was time for interviews by media. 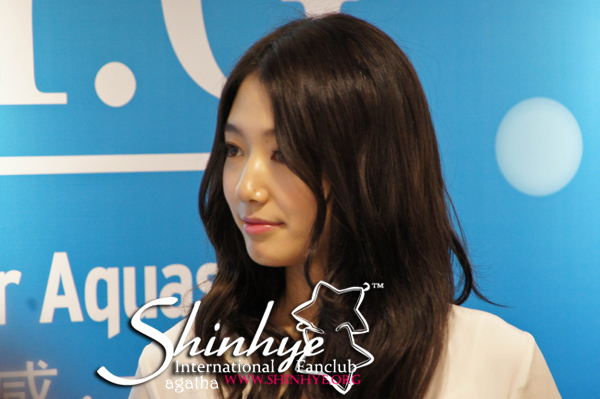 Shinhye talked about her favorite Chinese celebrity – Jay Chou and said that she’s a big fan of his movie ‘Secret’. She also mentioned that she will be taking a new movie project in May, 2012. The details of the movie will be announced in late April. 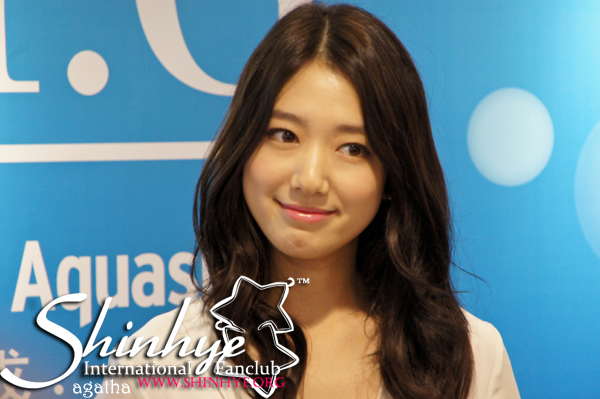 One reporter asked if Shinhye knew her good friend Hongki from FTisland came to Hong Kong last week. Shinhye said she hasn't contacted Hongki for quite a while so she didn't know he was here until she read the news. 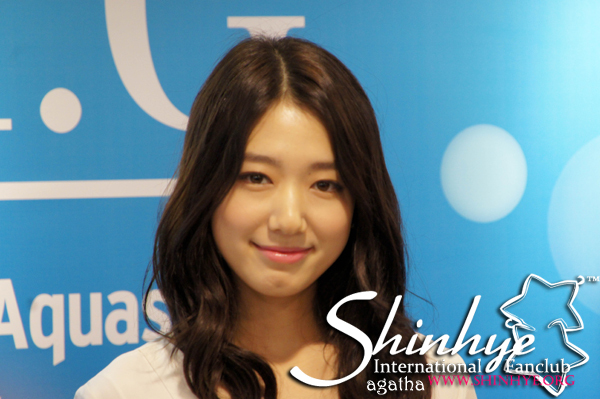 Reporters also complimented on Shinhye's singing skills in 'You're Beautiful' and asked if she will debut as a singe. Shinhye said fans really like her singing in dramas, and she wants to debut as a singer too but right now it's just planning. She also mentioned that her team and her are in talks of holding more fanmeetings so as to have more chances to meet international fans in the near future. Then, the reporters left and it was time for the fansigning event. 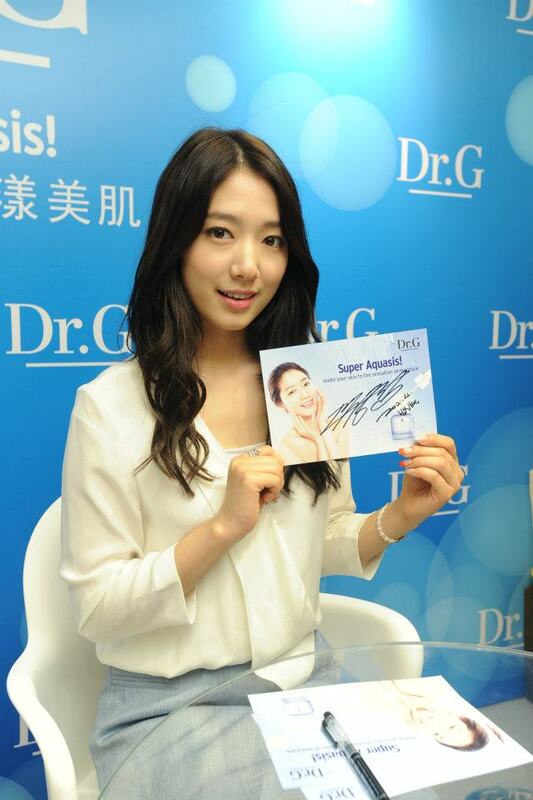 30 lucky fans who applied on our site were able to get a personalized autograph from Shinhye. 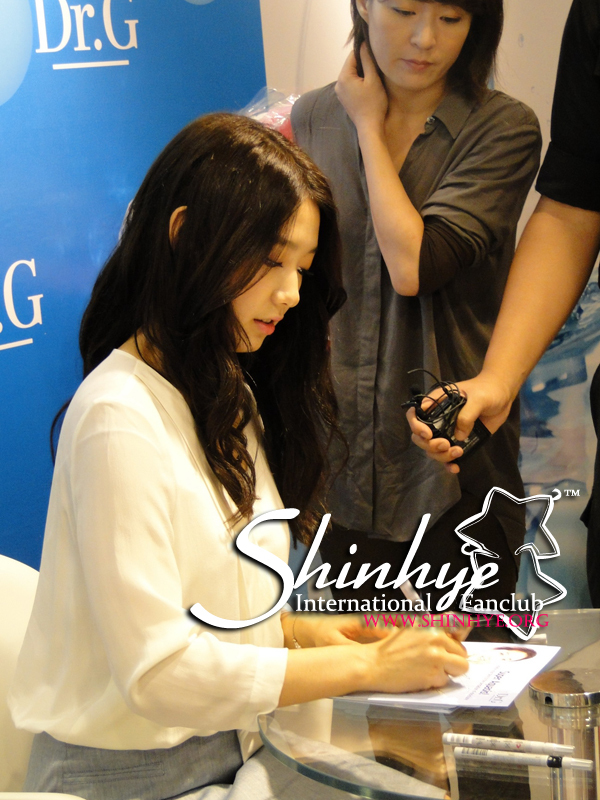 Shinhye sat down in front of a round table with a stack of signing cards and began to sign. 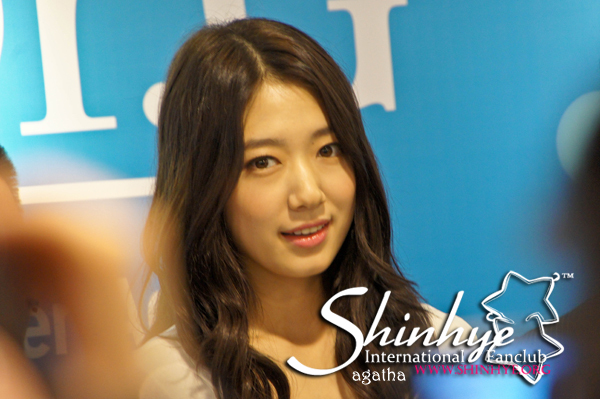 The fansigning was only scheduled to be 15min but Shinhye took her time. 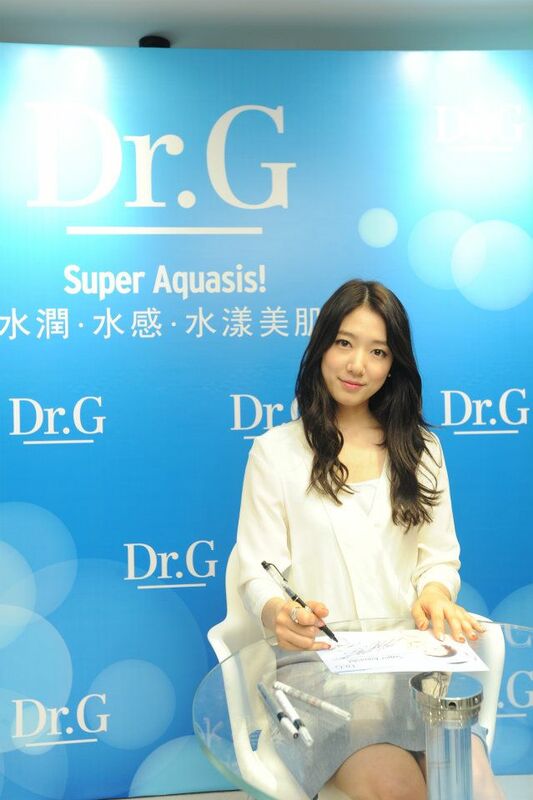 She asked fans for their names to be written on the sign card and talked a little with each fan. 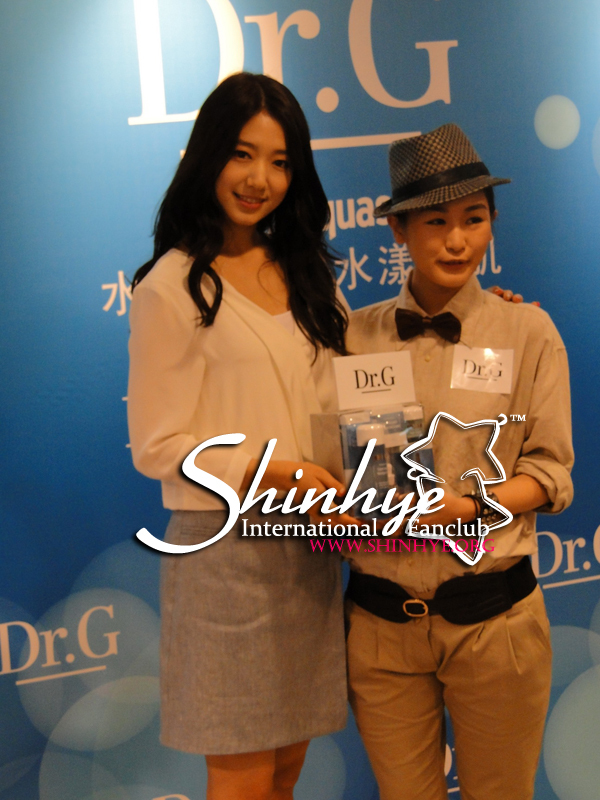 She received many presents from the fans and she was very happy to meet everyone. 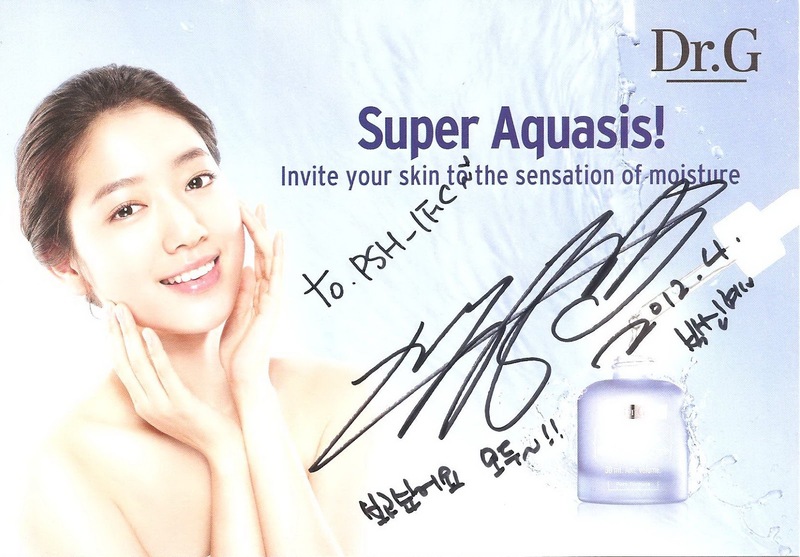 For PSH_IFC, she especially wrote a line saying “I MISS YOU ALL” awww. 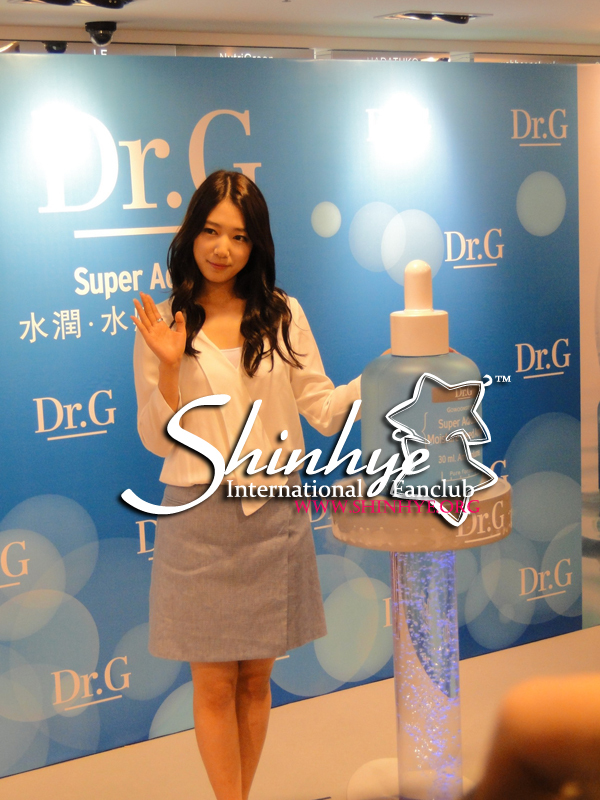 When the fansigning ended, Shinhye took a group photo with all fans. 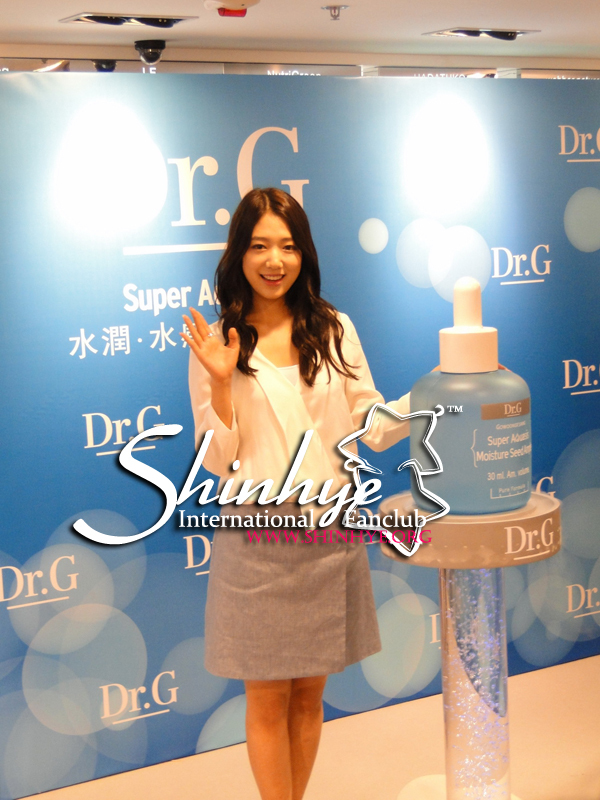 The filming crew from Korea requested everyone to say “Park Shin Hye saranghaeyo”. 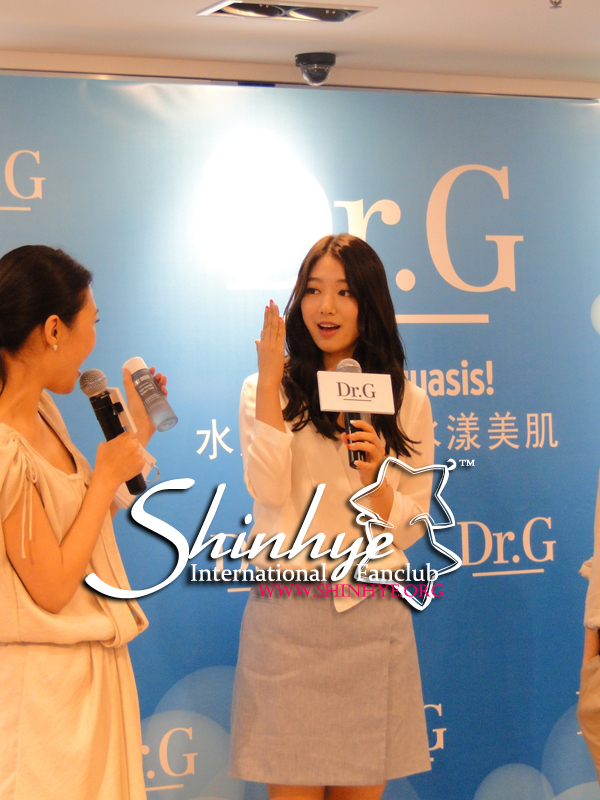 Shinhye blushed haha. It was cute! Then she said byebye, see you tomorrow, and left. She is looking beautiful with a glowing skin. She is so elegant. The pastel colors really suit her. Looking forward to her movie...... a drama too since we get to see her regularly and more often. Thanks for the write ups...I was curious if she spoke English to fans or everyone of you there can speak Korean?